Over the last few years, I’ve become completely obsessed with skincare! I think this is because I’ve struggled with skin issues for a majority of my life. Whether I’m struggling with dryness and eczema, or breakouts and sensitivity, I’m always on the hunt for a solution. With my collection of lotions and potions growing, I became interested in the best way to store each type of product. That’s when I learned about keeping skincare products in the fridge. Since I often deal with swelling and inflammation, this sounded like a soothing way to store certain products. I tried it for a while but I would often forget to go into the kitchen to grab the products. 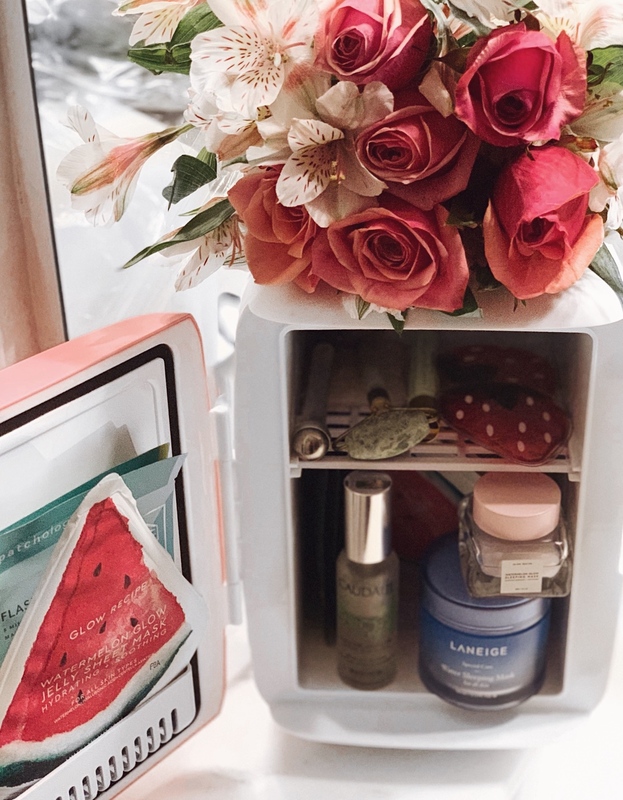 Enter the mini skincare fridge that you can keep in your bathroom! I learned about it from my esthetician Kasey at Glow Skincare. Basically, It is a small travel fridge that was made to fit 6 cans of soda. It fits perfectly on my bathroom counter and can fit so many skincare products. You can shop for your own skincare fridge HERE. Keep reading to find out what to keep in it. This is what I keep in my skincare fridge the most. I can’t even tell you how soothing a cold sheet mask feels on a hot summer day. I keep a variety of full face sheet masks, under eye patches and lip masks in the fridge. Click the images below to shop some of my favorites. Imagine spraying a cool refreshing facial mist on after cleansing your face. It feels amazing and also helps close your pores to prevent bacteria from entering. Shop some of my favorite mists below. If you’re not sure how to use a jade roller you can read my post HERE. The anti-inflammatory benefits of jade rolling are amplified when the roller is cold. You can also keep other tools like an ice roller and gel eye masks in the mini skincare fridge too! Click below to shop some of my favorite tools. If you deal with undereye puffiness, storing your eye cream in the fridge will be so beneficial. Especially if it has a metal tip or roller ball. Also, some serums are better when kept cold. I love storing my vitamin C serum in my mini skincare fridge. 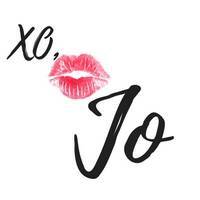 Some of my favorite skincare products to keep in the fridge are below of you to shop. The best part about the mini skincare fridge is that it can preserve your skincare and make it more effective. I love that it keeps items cold but not freezing cold and unbearable to use. Overall this mini skincare fridge has stepped up my skincare game and really helped to reduce my facial swelling. How do you store your skincare? Have you tried a mini skincare fridge? Let’s chat! Leave a comment below.